It's the boat maintenance job that everyone loves to hate, your boat has just come out of hibernation and it's time to inspect the damage that the winter has caused, and how that paint work is looking. Antifouling is a job that is recommended to be carried out every 4-5 years, perhaps even earlier after surveying the condition of the hull of your boat. Preparing and applying Antifouling can be potentially hazardous if not carried out correctly, but is an absolute must in order to prevent fouling. However, if the process is completed with precision you can expect a long lasting finish that will retain the paint work of the boat in even the most testing conditions. So if you're overdue an anti-fouling job this year, here are some basic tips on how to prepare and apply antifouling in a safe way, whilst delivering a professional finish. Prepping your boat for the application is imperative, just like you would prime a wall for a coat of paint. This part is the most hazardous, as antifouling dust is extremely dangerous. The two safest DIY ways to prep your boat are by wet sanding or stripping with a chemical stripper that's formulated for use on fibreglass. Once you've picked your chosen method and identified the areas on the boat that need antifouling done, it's time to get ready for the job ahead. When prepping the boat make sure that full protective clothing is worn, this includes goggles, a face mask and overalls, you don't want to give that dust any chance of getting inhaled into your lungs. Before beginning the antifouling we would recommend using an Epoxy primer to stop any water ingress, and which provides an excellent anti corrosive protective layer. Preparation is incredibly important for antifouling, and if it's not done correctly it's highly likely that the old antifouling will flake off as the new paint is applied. When it comes to application there are a few choices of antifouling that you can use, depending on what will work best for your type of boat. The main types of antifouling paint you can choose from are eroding, hard film and copper-based. 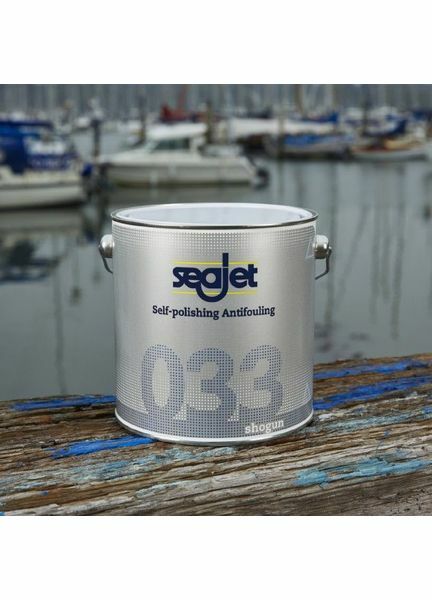 An all time and well known favourite is Seajet Antifouling which is an excellent all round performing solution which is incredibly easy to apply. This paint is available in various colours to match the finish of your boat, and the best thing is this will last for two seasons. Stir the tin of paint thoroughly beforehand so none of the ingredients have sunk to the bottom, as this will render the solution as useless. Try not to mix old and new paint together as this can sometimes cause an odd reaction and produce a less than desirable finish. However, if you are brave enough to try this method mix the paint thoroughly on a roller tray first, adding small quantities to mix at a time. When you're ready to start painting, pour a small amount of solution onto the roller tray to begin with. Start applying the paint in a logical fashion so you don't end up missing patches out or coating too much in one area. According to PBO, 'One PBO reader told us of his way of remembering which bits he’d painted. He drew chalk lines at roughly one foot intervals, which disappeared under the new paint so he always knew where he’d got to'. Use a small brush to get the paint to those hard to reach areas, and try to apply an extra coat along the waterline if you have some paint left over. Small rollers are ideal for painting areas with such a thick paint, but for those jobs that don't require a high quality pure bristle brush, this applicator brush for antifouling and expoxy will do just the job, it can be disposed with afterwards or cleaned off straight after and used for another time. The key to antifouling, is good preparation and priming which will ensure that antifouling can successfully adhere to the surfaces, whilst being as smooth as possible. Spending more time, with less haste will ensure a long lasting antifouling job that will help the overall speed of your boat and prevent fouling. 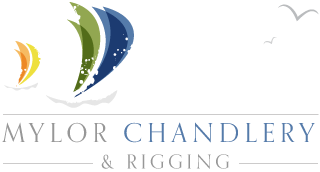 Look out for our future boat maintenance blogs on the Mylor Chandlery Facebook, Google + and Twitter!